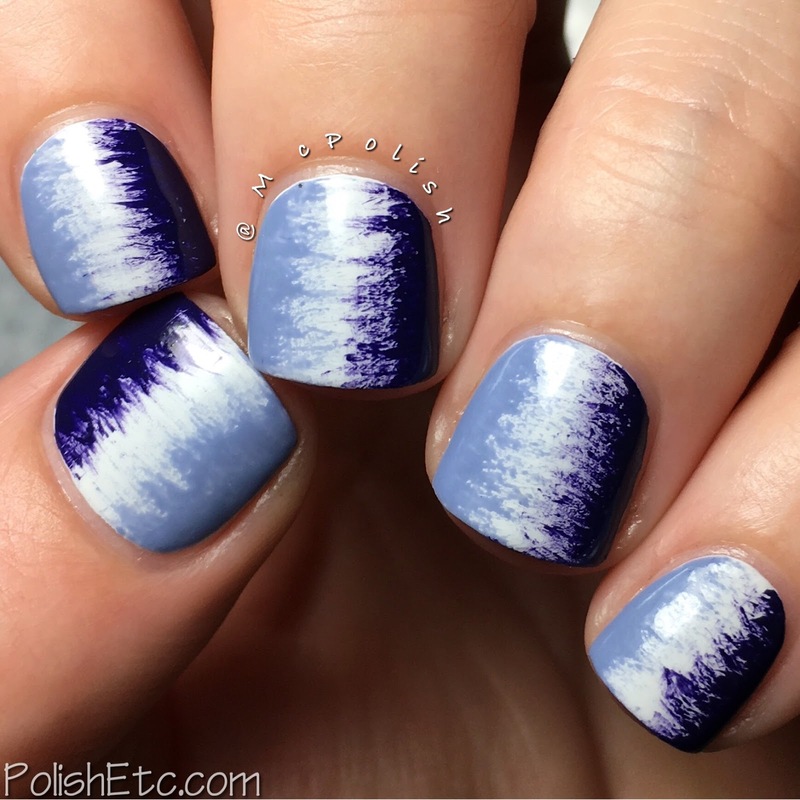 Violet Nails for the #31DC2016Weekly - Polish Etc. 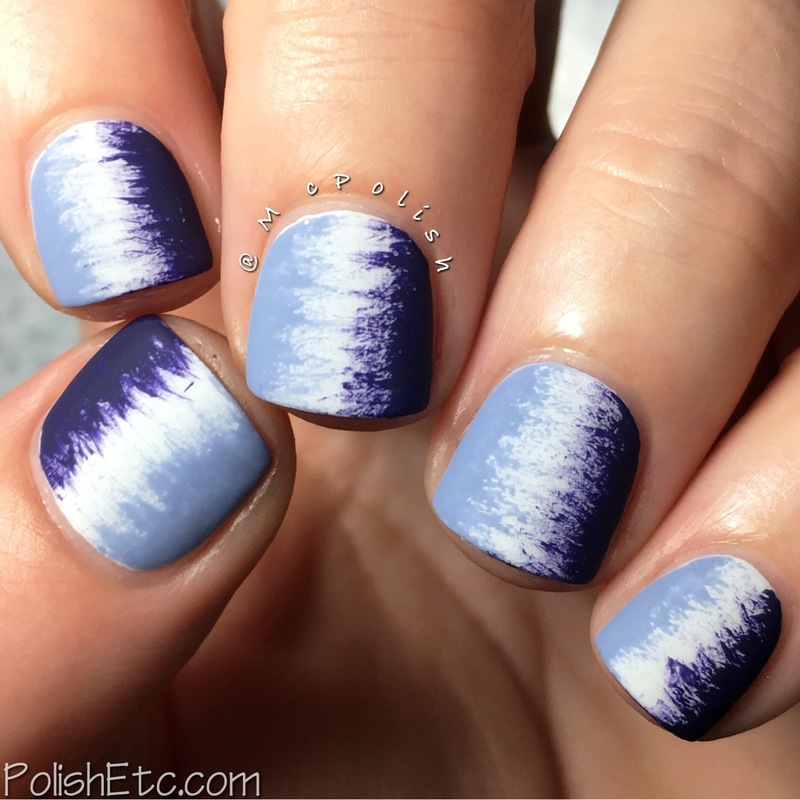 For this week's prompt, Violet, I have some super easy nail art to share. I have seen this type of manicure done numerous times on Instagram, so I can't really give credit to one person for inventing it. In fact, I may have done a manicure like this previously, but I just can't remember when. All you need for this easy look is a fan brush. In fact, you could probably get this same effect with no special brush at all. But I used a fan brush that I got some the art supply store, Michael's. First, I started with my favorite white base, OPI "My Boyfriend Scales Walls". It is not a stark white and has a little hint of grey to it. 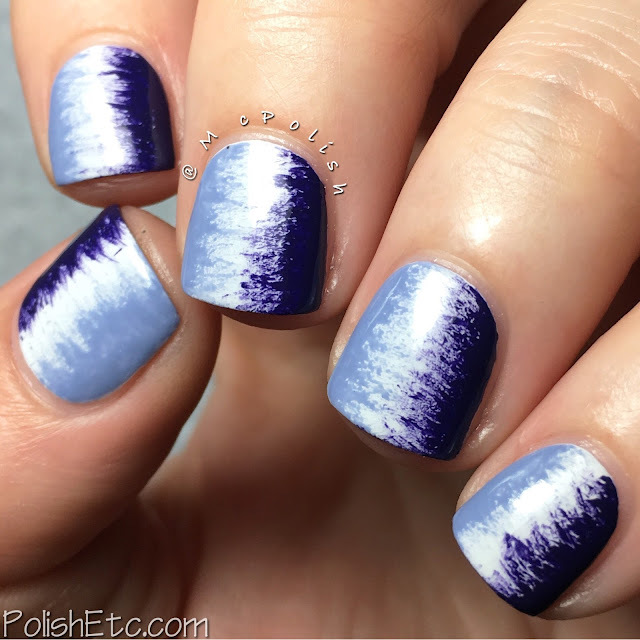 Once that dried, I put down globs of two purple shades from P2 Cosmetics onto my Uber Mat. I then tipped the tip of my fan brush into each shade and lightly brushed it on the nail. I started at the edge near my skin and then dragged it towards the midline. I repeated those steps with both colors 2-3 times until I got the effect I liked. The two purple polishes I used were from P2 Cosmetics which is a German drug store brand. I am ever so grateful for my dear friend Lotte for sending me these polishes as I am just in love with the formulas. The dark indigo violet is "Royal Beauty" and the periwinkle lavender is "Lovely Daughter". They are both from the Volume Gloss line. I really enjoyed how easy this nail art was and how cool the results were. 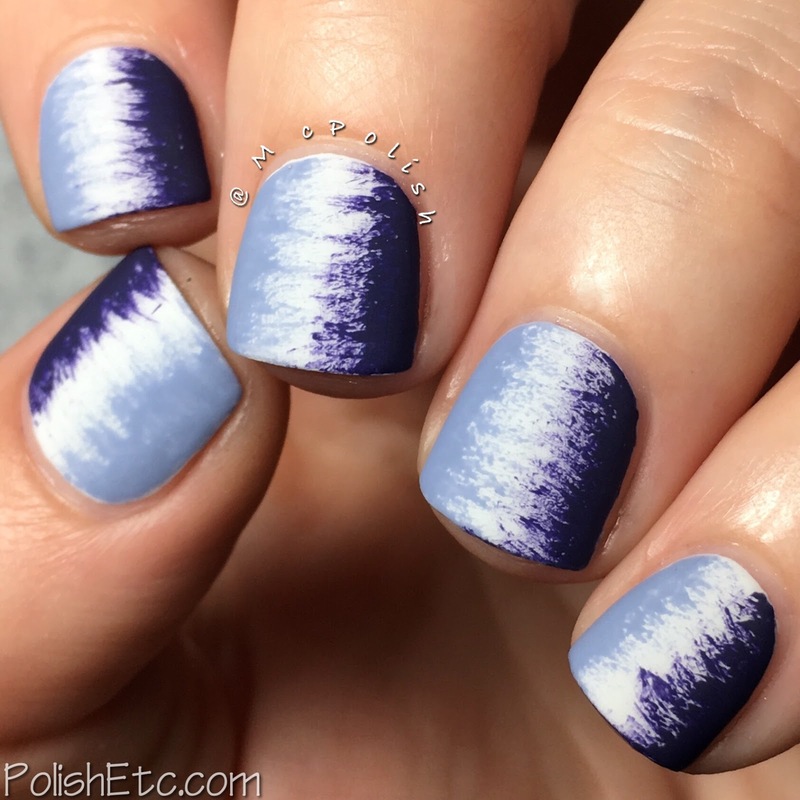 In some lights, this looks more like a blue mani but it is purple, I swear. 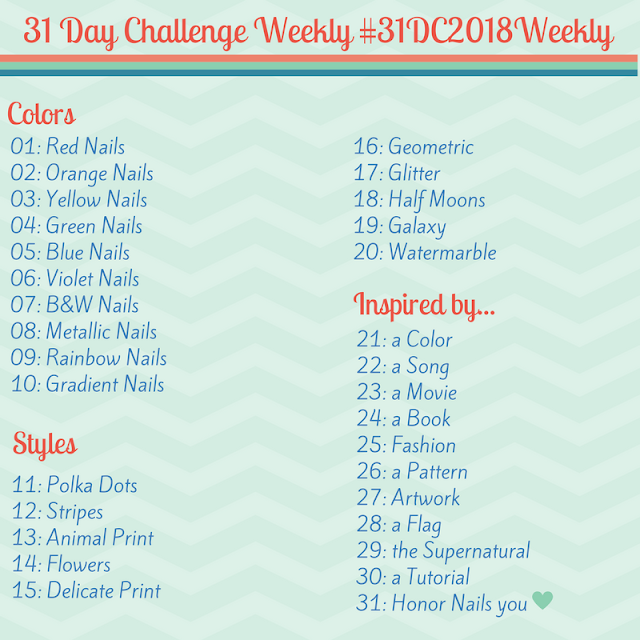 Be sure to check out all of the other lovely nail artists joining in on this challenge. You can find them easily by scanning the #31DC2016Weekly tag on your favorite social media platform: Instagram, Twitter and Facebook, If you want to join in on the fun, please do! There is plenty of time to catch up, this will not end until October 1st! This is gorgeous, I'll have to give it a try!